The Atlantic Gateway represents an opportunity to create the most inclusive growth corridor within the North of England. Covering the areas of Cheshire and Warrington, Greater Manchester and the Liverpool City Region, the Atlantic Gateway area includes the two great cities of Liverpool and Manchester. It offers outstanding access to global markets and further opportunities for growth. It boasts world-leading sectors and businesses, a vast talent pool, unrivalled green and blue assets, outstanding universities and world-class infrastructure including the two major international gateways of the Port of Liverpool and Manchester Airport. It’s one of the greatest places to live, invest, work and visit. The Atlantic Gateway area has already established a global reputation for excellencein sectors including health and life sciences, advanced manufacturing, automotive, aerospace, food and drink, logistics, media, engineering and knowledge and innovation based sectors. The area has the potential to be even more successful, creating significant growth across all parts of the Atlantic Gateway area, including places outside of the major cities. 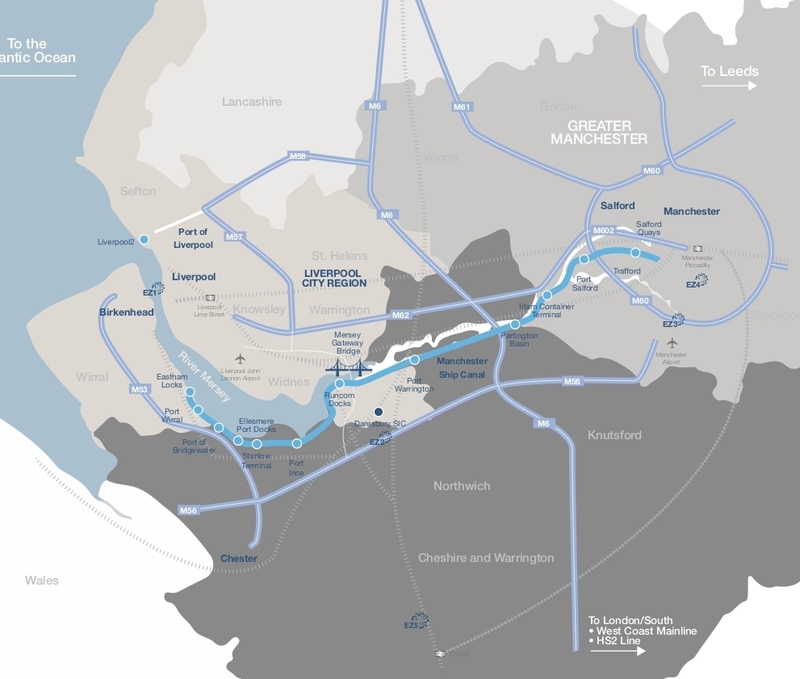 With a partnership-led Board, the Atlantic Gateway was established in 2011 in direct response to calls from leaders from the public and private sectors to develop a long-term vision for the corridor between Liverpool and Manchester. It provides a platform for partners to work together on the area’s most significant priorities. Atlantic Gateway has strong and dynamic relationships with the area’s three Local Enterprise Partnerships (LEPs) and is unique in this sense. We have been the first to develop a cross-LEP Board with a focus on a small number of common priorities. With a focus on Infrastructure and the two high growth sectors of Science and Innovation and Logistics, the Atlantic Gateway Partnership has achieved consensus on several priorities and specific projects which will create jobs throughout the area and drive growth. Atlantic Gateway provides a unified voice on critical issues and opportunities, and has working and meaningful relationships with key organisations including Transport for the North, the Northern Powerhouse and other business groups. Collaboration will continue to be of critical importance to the long-term success of the Atlantic Gateway area and the election of City Region Mayors is an important step forward in terms of both devolution and collaboration. The growth potential of the area can be accelerated by investment in infrastructure, especially transport. Transport investment across the North will ensure that the Atlantic Gateway area continues to compete with other global competitors and strengthen its overseas trade and investment relationships. This is particularly important in light of the UK’s decision to leave the UK, whatever the outcome of negotiations. Investments in Atlantic Gateway’s key priorities, alongside transport investment, will provide people with improved access to existing and new job opportunities ensuring that the many and not the few can benefit from the success of the Atlantic Gateway.